Washinoo Co.,Ltd. 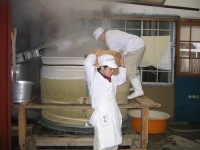 Sake brewery in IWATE pref. Here, we show date of update. 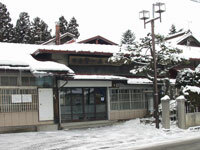 We have brewed Japanese Sake "Washinoo", in Hachimantai-shi Iwate Japan since 1829. 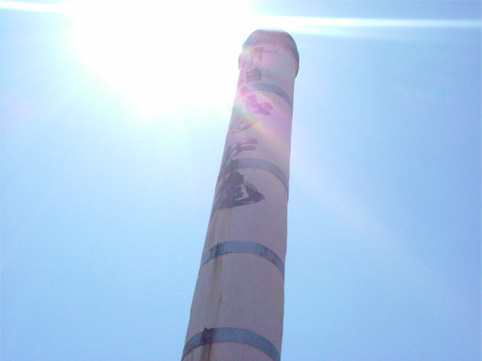 Our brand "Washinoo" comes from the site location of our brewery. Our brewery is at the foot of Mt. Iwate, which is also called "Mt. Ganju(a big eagle)". It is said that big eagles lived at Mt. Iwate a long time ago. In addition, the remaining snow on Mt. Iwate during the early spring appears in the shape of a "spread-eagle". Our Japanese Sake is brewed with clear and mineral-rich groundwater from Mt. Iwate. 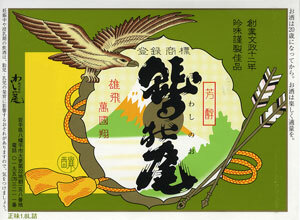 And is therefore named "Washinoo(Eagle's tail)"
Responsible drinking makes you Healthy and Happy!